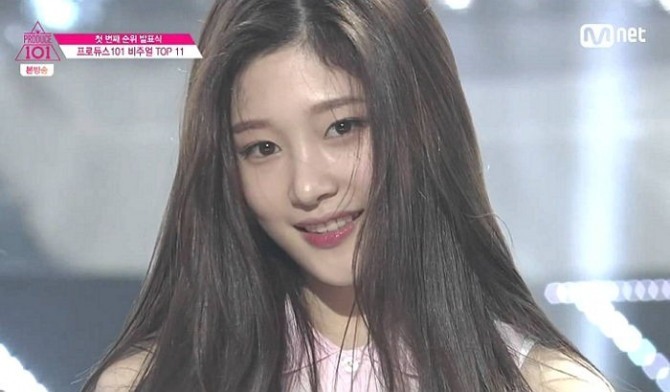 After Jung Chae-yeon -- survivor of Mnet’s “Produce 101” and eleven-member girl group I.O.I’s -- officially returned to girl group Dia, I.O.I’s management firm YMC Entertainment said it is “not problematic,” citing the contract. Prior to the reports, Jung was reported to have left for Jejudo Island on Tuesday for a music video of Dia’s upcoming comeback album track. 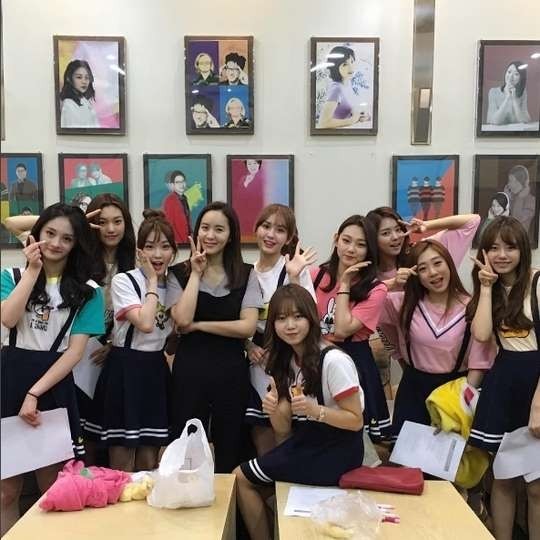 Jung was missing in a photo of I.O.I after a radio talk show in Seoul on Wednesday. Jung’s home agency MBK Entertainment confirmed on Wednesday that she is returning to Dia with another “Produce 101” competitor and ex-Dia member Gi Hee-hyun, or Cathy. Jung and Gi quit Dia to participate in “Produce 101,” as only trainees could join the competition. “We have already discussed the matter regarding Jung‘s absence,” a source from YMC Entertainment told MBN Star, confirming Jung left for Jejudo Island. He added that all 11 members of I.O.I do not have to be engaged in the activities. A recent report by local news outlet TV Report had noted I.O.I members can have dual activities. Following this, Jellyfish Entertainment, home to two I.O.I members Kim Se-jeong and Kang Mi-na, announced that its new seven-member girl group projected to debut on June 13 will include the two members. The upcoming episode of tvN’s “Live Talk Show Taxi” will feature all I.O.I members including Jung.